Suspected Boko Haram members have ambushed a convoy carrying the new head of the Nigerian army, sparking clashes in which 10 fighters and a soldier were killed, the military has said. Tukur Buratai, who was last month appointed chief of army staff, was unharmed in the attack, which occured as he was visiting troops in the northeastern village of Faljari on Saturday, army spokesman Sani Usman said in a statement on Sunday. 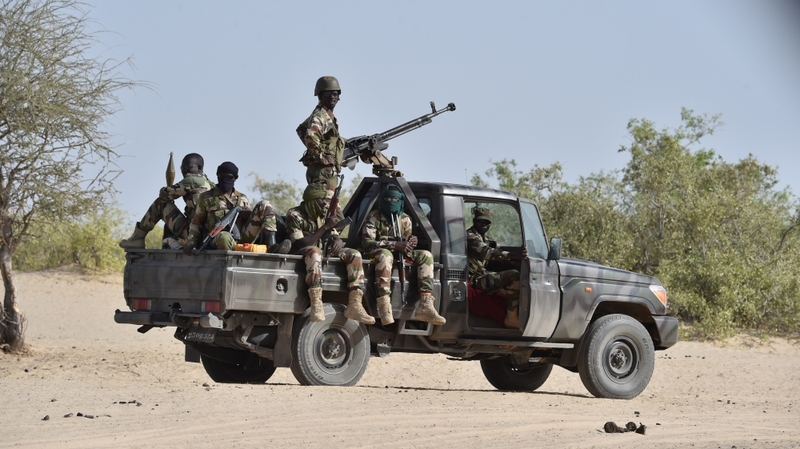 Faljari is located about 45km east of the Borno state capital of Maiduguri, which the Nigerian military is working on making its new headquarters in its heightened offensive against Boko Haram. The army is relocating its command and control centre from the country’s capital Abuja to Maiduguri in order to boost its fight against the armed group, which has most of its strongholds in the northeastern region. “The terrorists encountered an overwhelming firepower from the troops in which 10 of them were killed. The troops captured five terrorists,” he said. News of the attack came with UN Secretary-General Ban Ki-moon due to arrive in Nigeria later Sunday to commemorate the fourth anniversary of a deadly attack on the UN by Boko Haram in the capital Abuja. The fighters have stepped up their attacks in Borno and two neighbouring states since President Muhammadu Buhari came to power in May. The fresh wave of violence has claimed more than 1,000 lives over the last three months, dealing a setback to a four-country offensive launched in February that had chalked up a number of victories against the armed group.